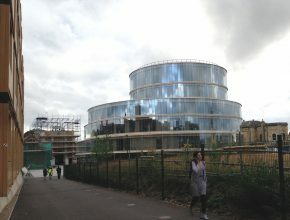 I attended a meeting last week that was held in this recently completed building by Swiss Architects Herzog and De Meuron. Little did I know I was in for a treat after the meeting! The Blavatnik School of Government has significantly changed the streetscape of Jericho since I last visited the area a few years ago. 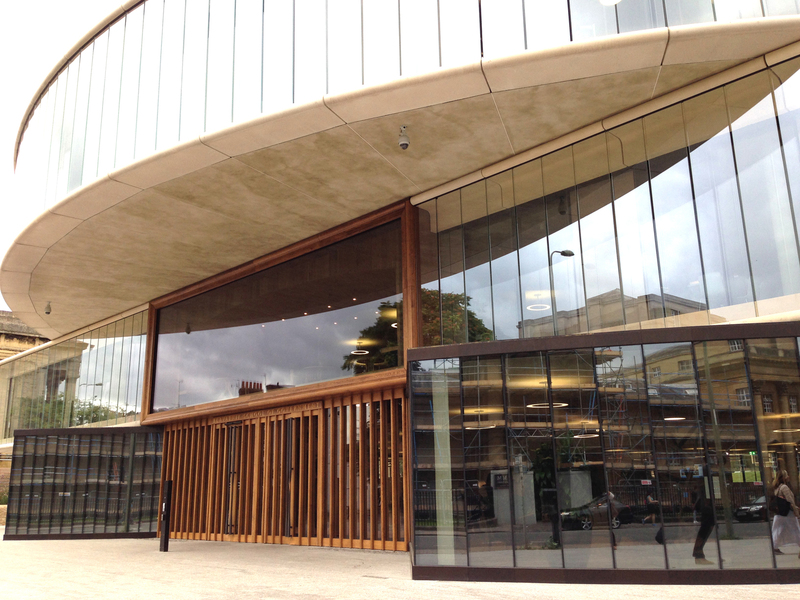 My experience of the entrance to the building was a good one – a very spacious concourse is welcoming of the public and it’s users, a contrast to many old Oxfordian buildings that seem to turn their backs on the street. At first floor level one can look out of the huge plate glass window and connect visually with passers by – a further way in which the building connects well to it’s setting. 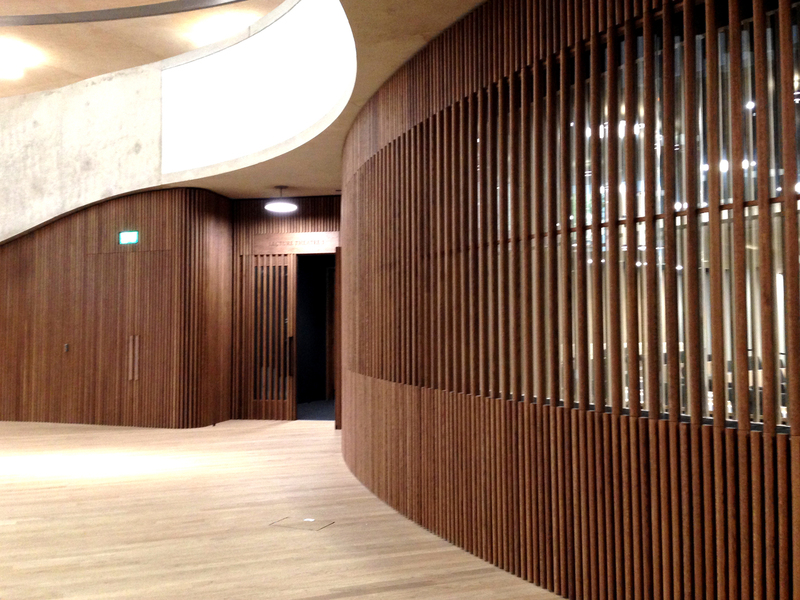 The meeting was located in the basement, and I very much appreciated the curved timber screening walls that surround the lecture and seminar rooms on this level. Both glazing and thermal cooling modules are integrated within these walls, making them more than an aesthetic feature. Since first discovering the work of Herzog and De Meuron in Year 1 of my Architecture degree I have always admired the sense of rhythm that features in their work, as if a piece of music is being visualised. The copious ramps and stairs diverting here and there invite you to climb up and up, looking skyward all the time. On first glance the swirling concrete balustrades look as if they have rendered infill panels – but on closer inspection these turned out to be expanded foam, presumably for the acoustic absorption of noise within the vast full-height atrium. I like how the main skylight to the atrium is off-centre, and this is affirmed by an external view from the back of the building which shows the building form as an irregular stack of cylindrical thicknesses. Yes, there are obvious echoes of the Guggenheim Museum in the swirling ramps, but this is an academic building, due to welcome it’s first cohort of students in late September. 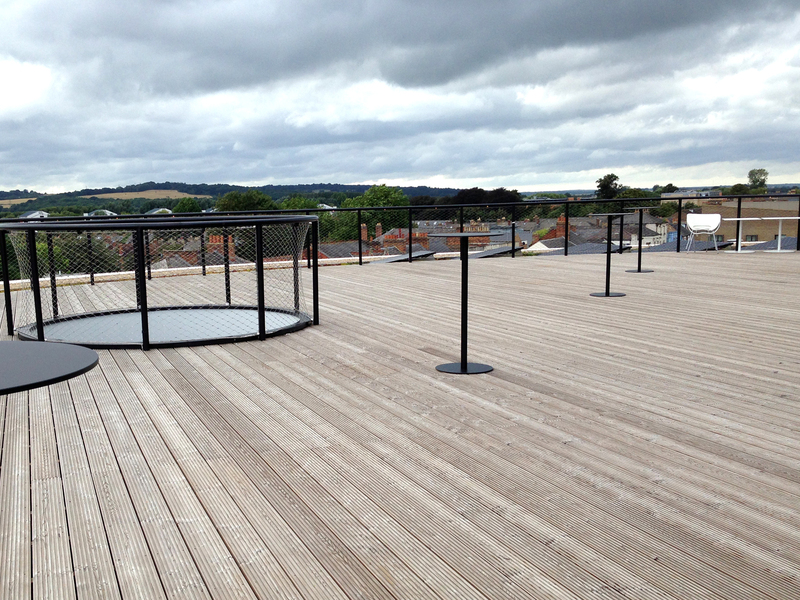 Upper floors are dedicated to staff, researchers and students alike. 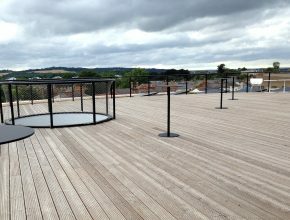 There is a generous breakout area on the top floor which extends to the rooftop also, affording some good views across the city. 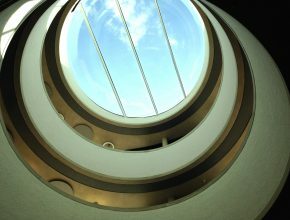 I left The Blavatnik School of Government with a sense that Oxford is lucky to have such a practical but also very fun new building in it’s midst, and the students that will attend this school are lucky to study in such a well-designed and beautiful setting. This building has definitely earned it’s place on the Stirling Prize shortlist. Oh and the meeting was very useful too!